Shipping & Passenger Records : Glenelg & Wannon Settlers, S-W Victoria, Australia. A few links to information on tracking shipping and passenger records in Australia as well as links to some passenger lists or shipping information to Portland in south western Victoria. Databases from the Victorian Public Records Office includes the Assisted Immigrants into Port Phillip 1839 - 1871 & Unnassisted Immigrants into Victoria 1852-1923. There are other online Indexes on the same page. Set of online databases from the NSW State Records which includes the Assisted Immigrants into Port Phillip 1839 - 1851, as well as NSW & Queensland Immigrant Database. ORPHANS : The young women who came to the Australian colonies during the Famine years of 1848 to 1850 were from workhouses in all 32 counties throughout Ireland. All were destitute and many had lost their parents and families, so were 'orphans' in the modern sense of the word. Others were simply unable to support themselves within the family. The term 'orphan', meaning loss of at least one parent, did apply to the vast majority of the 4114 who took up the offer under Earl Grey’s Famine Orphan Scheme. The Great Irish Famine Commemoration Committee is gathering stories about all the women, following on from the work of Dr Trevor McClaughlin. A few stories are attached as pdfs to the individual girls and are mainly complied by descendants - some have not been authenticated by The Great Irish Famine Commemoration Committee but have been compiled from research conducted by descendants. NOTE THAT NOT ALL 4114 WOMEN FROM THE 20 SHIPS ARE IN THE DATABASE as the three (3) ships to South Australian are incomplete due to poor or non-existent shipping lists. Links to index of passengers and ships arriving, mainly in Hobart; index of all convicts transported to Tasmania and those convicted locally through the convict system; index of people leaving Tasmanian ports. Extensive shipping lists by the Perth DPS. The HIES Ship List information was generously supplied by William "Bill" Clarke. This site is dedicated to Peter J. McDonald's memory as it was a very important project for him to have placed online for all to search their roots from Scotland to Australia. The Highland and Island Emigration Society was set up by private subscription to alleviate destitution in the Highlands by promoting and assisting the emigration of Highlanders to Australia. Their passenger lists for the years 1852-1857 have survived and are organised by ship and by family and record the name, age and residence of each emigrant (HD4/5) as well as occasional notes on their health and situation. Welcome to Emigrants – on online aid for those seeking emigrant passenger lists. Emigrants designed to allow family historians to make contact with others with a shared interested in emigrant passenger lists. Emigrants is a searchable database compiled from public submissions. It has been available since 1997. The site was upgraded in 8 July 2011 and many new features are now available. The concept of listing surnames of emigrants or emigrant vessels on this site is based on the basic reality in family history that the information you seek is probably already known to someone else. Your problem is finding that person and this site is designed as an aid to that search. Australia » Immigration & Naturalization. Early shipping, passenger lists and other indexes to South Australia by Barry Leadbeater. Dedicated to identifying genealogical resources to assist in locating which New Zealand bound ship an immigrant ancestor was aboard. Dot's website contains passenger list transcriptions for the ship "Wallace" sailed from Liverpool on the 18th August 1841 and arrived at Port Phillip on the 26th November 1841, the "Gilmore" which sailed from Plymouth on the 26th day of August and arrived at Port Philip on the 24th December 1841, the "Ida" which sailed from Liverpool 25th March 1853 and arrived at Melbourne 12th July 1853 and the ship "Frankfield" which sailed from Liverpool, 7 Feb 1841 and arrived at Port Phillip, 7 Jun 1841. 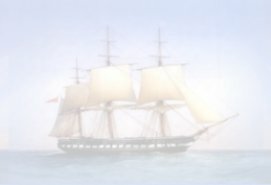 Links to some websites with passenger lists or information on shipping arrivals at Portland Bay in the 1800's. Glenelg Shire Council have granted permission for descendants of those immigrants who first set their feet on Australian soil at PORTLAND Victoria to place a memorial on the north wall of the Ploughed Field. If immigrants arrived at Melbourne and they came direct to Portland they DO NOT qualify. They are Melbourne arrivals. Also settlers coming from interstate do not qualify. 37 ships carrying assisted migrants arrived at Portland between 1851 and 1857. A few migrants arrived on the Francis Henty and the Cornelius and a few others jumped ship at Portland. These qualify, however proof needs to be provided. Initial contact may be made through History House. Records of people departing were not routinely or comprehensively kept at Tasmanian ports, although for some periods such as the 1850s such records are fairly complete. This index covers most available records before 1860 and some beyond that date, and it is being added to gradually. 1851 : "Tasmania" - I have a PARTIAL passenger list for the ship 'TASMANIA' which sailed from Plymouth 25/7/1851 and arrived at Portland on 23/11/1851. The surnames below are listed on the pages I have: Russell, Regan, Sangster, Stradwick, Watson, Yeoman, Alway, Benstead, Crisp, Carroll, Canny, Cameron, Campbell, French, Wombwell, Bohay, Coulson, Cox, Crawford, Carrick, Carter, Chauhon?, Goding, Ilsby, Kerby, Knight, Kenny, Laidlow, Moriarty, Malt, McKillop, McAndrew, McPhee. Drop me a line if anyone wants more details. Sailed from Liverpool, England on 23 Aug 1853 arrived at Portland Bay, Victoria, Australia on 30 Nov 1853. This ship Captain Hunt from Liverpool July 20th arrived last Tues 21st inst. bringing 182 government immigrants, under the charge of Surgeon Superintendant Dr. Turner. There were 11 births on the passage and 3 deaths of infants. When the "Bloomer" left Cholera was at Birkenhead, the immigrants in consequence were embarked at Liverpool. The immigrants are almost all from the Southern Countries of Scotland, a large proportion of them are repesented as being a superior class of mechanics. 18th Dec. 1854. - THE BLOOMER : This barque is cleared out and was to have sailed last Friday for Calloo, but has been detained by the absconding of 2 of her seamen, on the night previous to her intended departure. The "Edward Johnstone" 1854, 354 Highlanders 80 families from Raasay, Coll and the Isle of Skye. Edward Johnstone of 997 tons, sailed 17 June 1854 arrived 3 Sept 1854 after 78 days (a very fast trip!). Sailed from England on 1 Oct 1854 arrived at Portland, Victoria, Australia on 21 Jan 1855. The S.S.Utopia arrived on the 27th January 1854 at Portland, Victoria. she was 949 tons. Captain Wilkinson. departed Liverpool November 3, 1853. 389 immigrants, 83d passage, 13sailors absconded.